Update: This event was held on 17th September 2018 and has now concluded. Thank you to all the attendees. Srinath Ranga, Director at Opteamize has prepared a presentation in relation to ‘Digital Marketing in Jewelry Business’. He will be delivering this presentation at Grand Chennai at GRT Hotels in Chennai, Tamil Nadu. The Hotel is located at 120 on Sir Thyagaraya Road within Drivers Colony at T. Nagar in Chennai. The event will take place on Monday, 17th September from 3:30 PM onward, followed by high tea. After this presentation, jewelers will be more informed on how jewelry can be promoted through digital marketing elements such as search engine marketing and social media marketing. 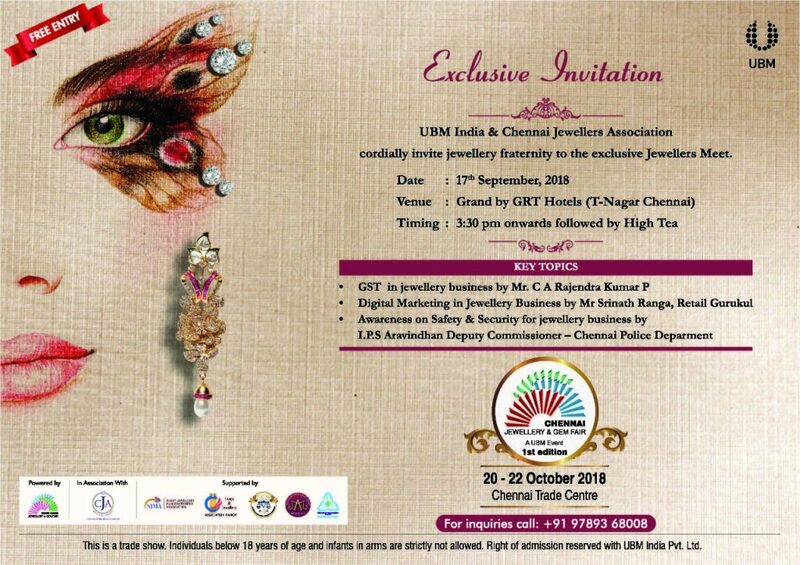 The event is being organized in a joint effort between Madras Jewelers & Diamond Merchants Association (also known as ‘Chennai Jewelers Association’), and UBM India. They cordially invite all members of the jewelry fraternity to this exclusive Jewellers Meet. Plus, much, much more. All levels of jewelers interested in growing their jewelry business are welcome to join. 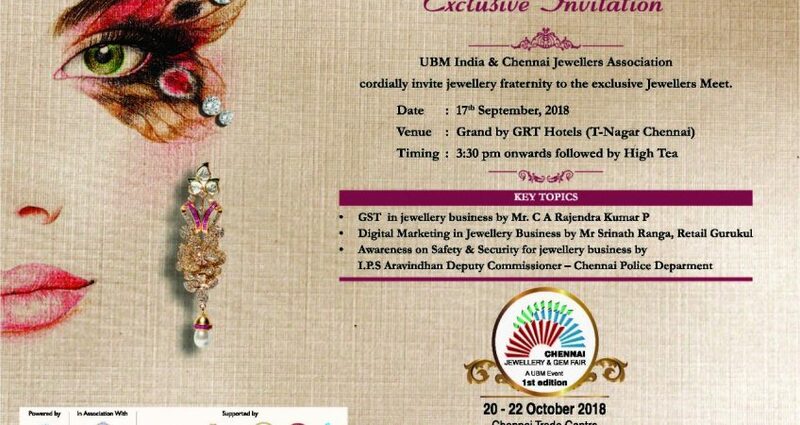 ‘GST in Jewelry Business’ by Mr. C A Rajendra Kumar P.
Notice: Please note that this is a trade show, and as such, individuals under the age of 18 and infants in arms are strictly not allowed and will not be entertained. You can also contact Opteamize Solutions for more information, or if you want to avail our SEO and digital marketing services. Adsense is best suited when a lot more has a direct focus. “Content could be the king” -this remarks is certainly saying by people. The ideal amount is 3 to 7 times possibly 100 words you use. look so they fit in the page. First off I want to say superb blog! I had a quick question in which I’d like to ask if you do not mind. I was interested to know how you center yourself and clear your head prior to writing. I’ve had a hard time clearing my mind in getting my ideas out. I do enjoy writing however it just seems like the first 10 to 15 minutes are wasted simply just trying to figure out how to begin. Any recommendations or tips? Just FINISHED THIS BLOG… I got a wonderful idea From this blog for my online jewelry Business.